In the late eighties and early nineties, under the banner of Genesis, Wayne Anthony and two friends organised and promoted over forty events catering for tens of thousands of party-goers. The birth of Acid House was a time of great cultural change and the proliferation of illegal warehouse parties was just starting to seep into public consciousness. Stories of “crazed” youths were making tabloid headlines and every weekend the television news would feature reports of “out-of-control” “drug-fuelled” parties. Genesis was a mark of quality and achieved legendary status in rave culture for hosting some of the biggest and best parties of the time. 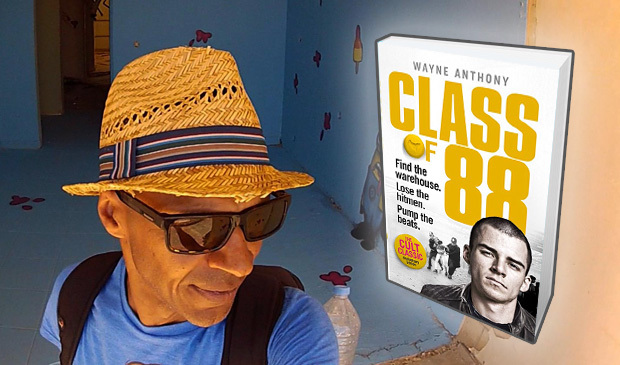 “Class Of 88” is Wayne Anthony’s personal account of this period and offers a viewpoint not seen by many – not from the dancefloor but from the helm of Genesis. First published twenty years ago this new Anniversary Edition features an updated introduction and new imagery. I first read the book not long after it’s initial publication and revisiting it now, twenty years on, has served as a reminder of just how unique that period in time really was. 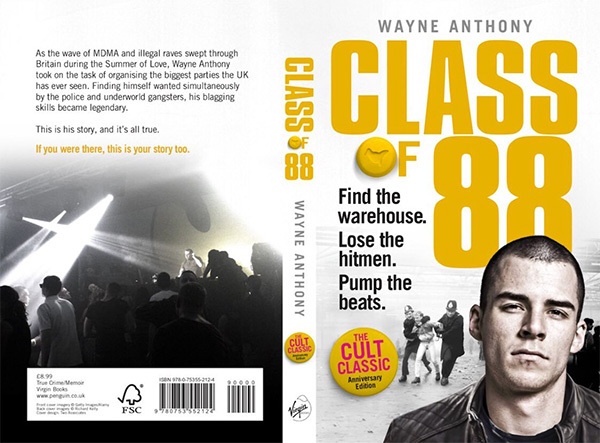 The opening chapter establishes the context in which the Acid House scene was able to flourish; touching on the political climate, football culture and a clubbing scene gone stale. If, like me, you were just that bit too young to have experienced it first hand then this book does a great job of evoking those early days of rave. “Class Of 88” could easily have been a rose-tinted tale of hedonism but instead we’re treated to an holistic account of not only putting on some of the most memorable parties of the time but also having to deal with threats and kidnappings at the hands of organised crime whilst simultaneously playing cat-and-mouse with the authorities. The stories of dealings with the police are real highlights and the ingenuity and sheer ballsiness of some of the blags are nothing short of inspired! The way in which thousands of ravers were shifted around in convoy before a final location was announced demonstrates a level of sophistication and intelligence that was never conveyed in the hyperbolic tabloid headlines. There are several moments in the book – beatings, death threats, guns and kidnappings – where you wonder why Wayne and his team didn’t just pack it in; the fact that they didn’t is testament to their passion and ambition. That said, there are numerous tales of excess and hedonism (one particular story of an acid tab and a parachute springs to mind) to contrast those darker moments. The descriptions of the Genesis events themselves are vivid and exactly as you might have imagined if you’d not been there. On several occasions I found myself searching on YouTube for the specific tunes mentioned in order to provide a soundtrack to the chapter – if ever there was a book that lent itself to the movie treatment it’s this. “Class Of 88” is well written and insightful, a real page-turner, and I thoroughly recommend it. If you were ever involved in the rave scene, or are simply interested in the birth of a revolution that still impacts on music and youth culture today, then this book is for you. 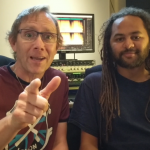 We were lucky enough to be able to catch up with Wayne to discuss the book and his thoughts on the current free-party scene. Quite early in the book you describe the political and economic climate in the UK during the late 80’s. How much do you think this was responsible for the rise of the party scene? If you’d not entered the world of promotion what else would you have done with your life? It’s hard to say really, the trajectory l was on would’ve brought me into artist management. I spent the two previous years in the pop music industry, which highlighted a variety of roles befitting of my character. It’s difficult to assess but Acid House changed my life in ways that money or professional status couldn’t penetrate. Changing a person’s world view is no small task, changing a generations world view is epic – something that stays with you forever. Getting thousands of party-goers to the venue ahead of the police would have been an impossible task had you not been so highly organised and coordinated. Had the methods you used already been established or were you making it up as you went along? I’ve been observing the free party scene from afar over the last few years. I’ve actually been contacted by various individuals from the scene that hoped l would join the movement. I had my time to shine staging illegal parties. Promoters like Genesis ’88 set the blueprint – it’s way too risky for me to even be in the building. In my time we had anonymity so unless you knew us personally, or knew someone that knew us, no-one could identify us as the promoters. Put it this way, we didn’t jump on the stage at our own events and thank everyone for coming. Today illegal party promoters face the exact challenges we did in the late eighties except technology and social media have made tracking people much easier. In essence the promoters job is to get as many people to the building as possible without losing staff members along the way. In 1989 the only factor stopping the Police Pay Party Unit from crashing your event was huge crowds of people inside the building. From what l see and read in the media, large crowds of people are the only element stopping law enforcement from raiding parties today. That said the illegal party may go ahead as planned but someone might have to take a hit, which in this case is the promoter / organiser. They’ve written or are in the process of writing books and making films about their lives. I actually still get on with a few of them today. I can’t really blame the security teams for what took place back then – money came thick and fast through those warehouse doors. Villains in those days were robbing post offices and banks for substantially less than we were making on the bar much less on the door. I have nothing against the word rave – in fact in recent years l’ve found myself using the phrase much more to describe the period. Generally speaking, people understand better when l frame them as raves rather than Acid House or Dance Parties. My issue was that its use to describe the period was generated by the UK’s press and not party goers or promoters. My parents called they’re own parties raves, so why on earth would the next generation use the same terms. We wanted to experience the moment in a new light not one regurgitated from decades ago. There’s been a real resurgence of interest in the old skool scene in recent times with the addition of new books, documentaries, family raves and seminar events. What is it about that time that holds such fascination for people? Finally, to reference a particularly memorable moment from the book, I’ve got an acid tab and a parachute… fancy it?! For the last ten years Wayne has been the driving force behind LSD Magazine – one of Europe’s biggest street art graffiti networks, and he is currently in the process of launching the world’s first dedicated street art graffiti channel from Los Angeles. 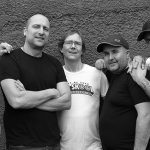 You can buy a copy of “Class Of 88” here.